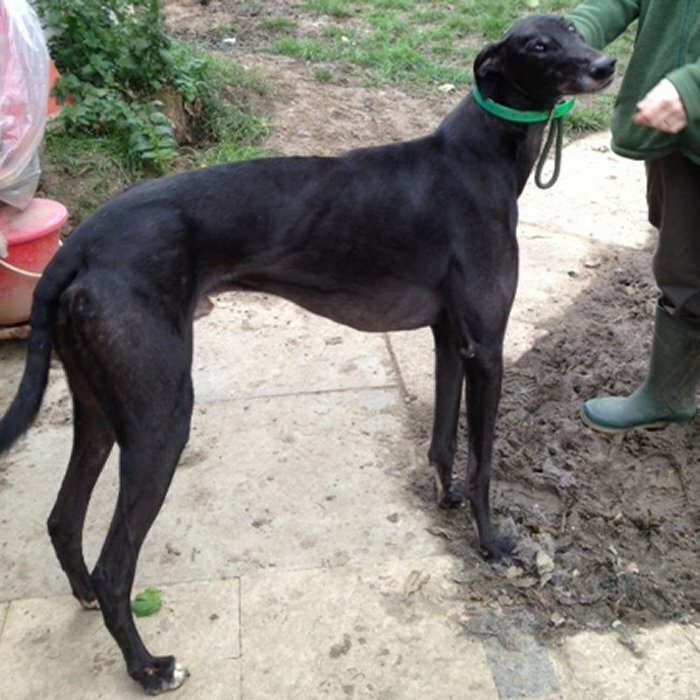 Ben (Noelles Romeo) is a Greyhound looking for a new home. Although Ben big lad he is a gentle giant. Elaine has had him in her house and he is perfect. He is quiet, doesn’t destroy anything when he is left, never steals food from the table, is house trained and great with children. He can pull on the lead when he see’s rabbit’s but has walked past other breed’s of dog’s without even looking at them.